If you’re an amateur or professional photographer, you’re going to love Snapfish. Not only is it a safe place to easily store all of your digital images, but it also gives you the power to turn those very special images into something beautiful for you and your friends and family. Plus, when you shop with these Snapfish coupons from Dealhack, you can save on the price of photo storage, beautiful custom prints, or even a coffee mug with your favorite shot on it. When you create an account on Snapfish, you instantly get a safe deposit box for every one of the pictures that you put so much work into. No more worrying about a burst pipe running your prints, or an outage at your home erasing your hard drive. Instead, every photo that you ever take will be stored in a neat, organized fashion on one of Snapfish’s fail safe servers. All you have to do is log on at any time to marvel at your masterpieces and begin working on some beautiful custom designs. When we say you can create beautiful custom designs, we mean every word. With Snapfish, not only can you order high-quality prints of every one of your photos; you can also put them on everyday items in your home, like coffee mugs or even a phone cases. Just log on, find the photo that you love and select from one of the hundreds of different objects to print it on to. It’s that easy. Just a few clicks and the finished product will arrive at your doorstep in next to no time. If you’ve just returned from a vacation or were fortunate enough to see one of your children get married, you’re going to love Snapfish’s photo books. You can easily organize all of your images into one beautiful book that will commemorate the moment for eternity. A photo book created with Snapfish is also a great option for a children’s sports team or a graduating class. Either way, as long as you supply the pictures, Snapfish will put a beautiful photo book right into your hands in no time. With Snapfish, taking the perfect photo is just the start Now, you have the tools and capabilities you need to make that picture into something that you, your friends, and your loved ones can hold onto forever. 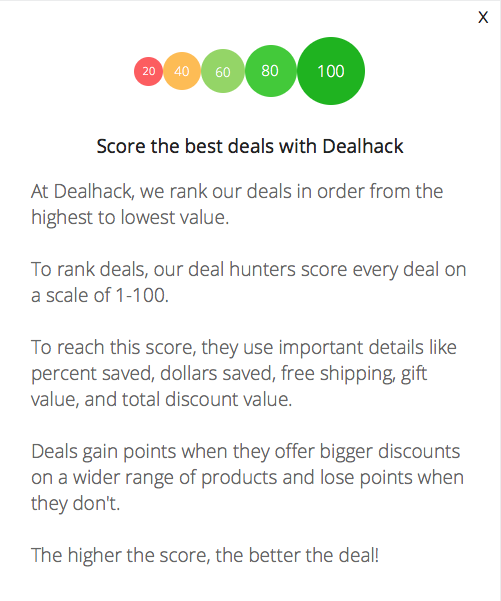 Plus, you could save money on the price of anything and everything you buy when you shop with a Snapfish coupon code from Dealhack. Snapfish is active on several social media platforms. Find them sharing creative gift ideas, photos, and videos on Pinterest, Instagram, Facebook, YouTube and Twitter. If you have any questions about their service, you can reach their customer care team via live chat or on their help page. With Snapfish gifts, you can take your beautiful pictures and plaster them on everything from mugs to aprons, and even phone cases. Refer a friend to Snapfish by sending them a coupon for 40% off. You’ll get a $10 credit if they make a purchase over $10. Create a photo book from Snapfish and discover an easy, beautiful way to present your favorite photos to the world. Download the Snapfish mobile apps for iOS, Android, and Windows devices to create and print gifts whenever inspiration strikes. Get an 11×14 calendar adorned with your custom photography to be sure that you always know what’s coming up. See all the latest Snapfish coupons, deals, and discounts on this page. With the My Projects section on the Snapfish website, you can easily keep track of all of your latest creative efforts and ensure that everything turns out just the way you planned. What is Today’s Best Snapfish Promo Code? The best Snapfish promo code right now is 70PRT10WIN. This code is for 'Spring Savings - 70% off Prints with $10+ order'. Copy it and enter it on the Snapfish checkout page to use it. Select items qualify for free shipping. They also offer free pickup at CVS, Walgreen’s, and Walmart stores nationwide. If you every run into an issue with an order, contact a customer care rep and they will help do what they can to rectify the situation. Typically, they will either replace your order or offer you a store credit to use in the future.